Portabella mushroom sandwiches ares a great alternative to calorie-laden burgers. Good for you and good to eat! I love the red wine vinegar in the marinade – although balsamic vinegar works well, too. 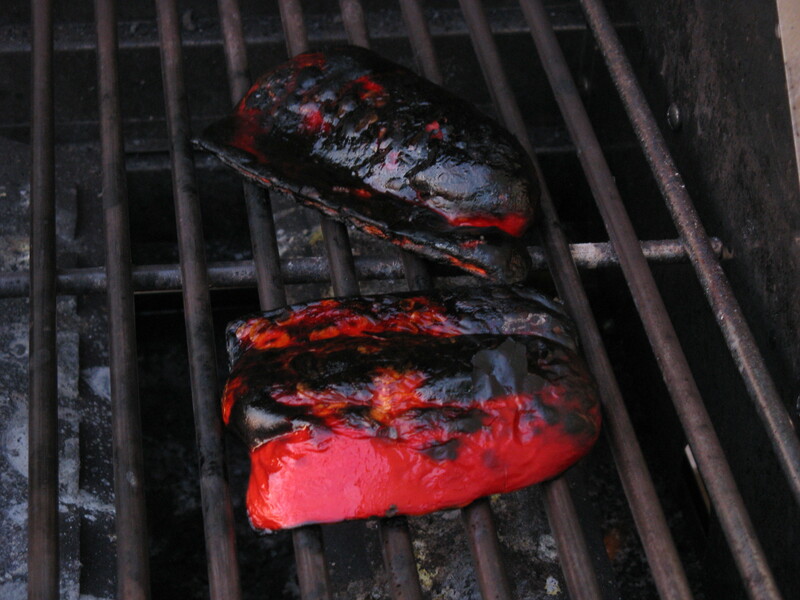 While the mushrooms marinate, roast the red pepper over a hot grill until the skin is charred on both sides. Place in a small baggie and seal it for 10 minutes or so – this makes the charred skin easy to flake off, leaving a wonderful roasted pepper underneath. Grill the mushrooms approximately 3 minutes per side. Add the cheese, grill until it is melted. I like to lightly grill the buns as well. Serve with your choice of toppings. I like sliced avocado, onions, roasted red pepper, and mayo. 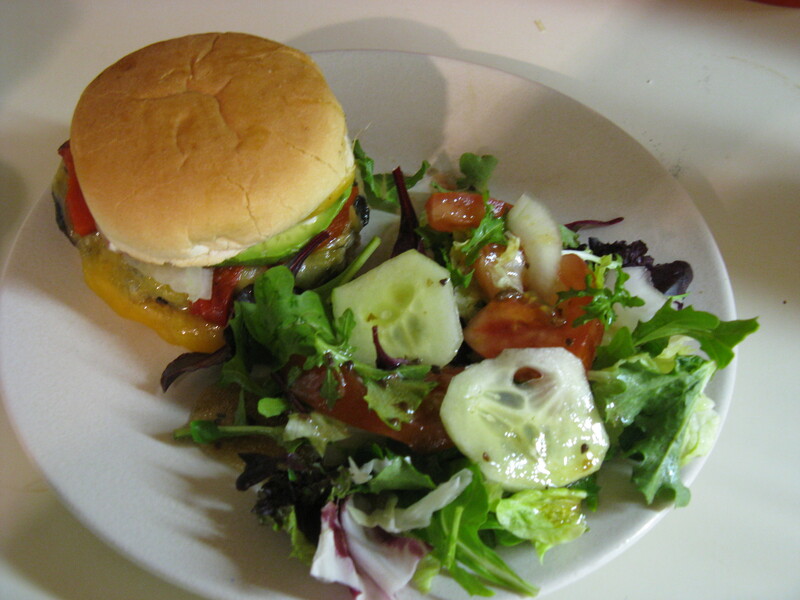 I serve this with a tossed salad of mixed greens, tomatoes, cucumbers, onions, etc. 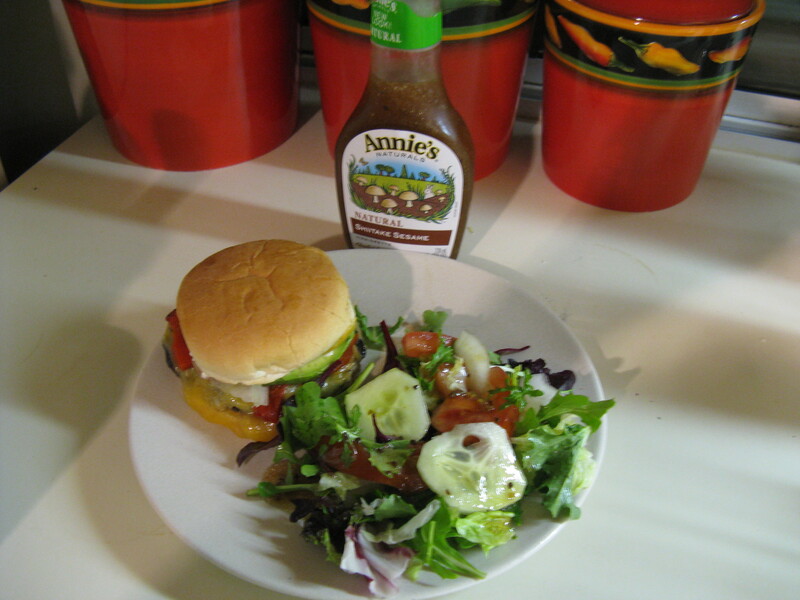 with Annie’s Shiitake Sesame dressing. 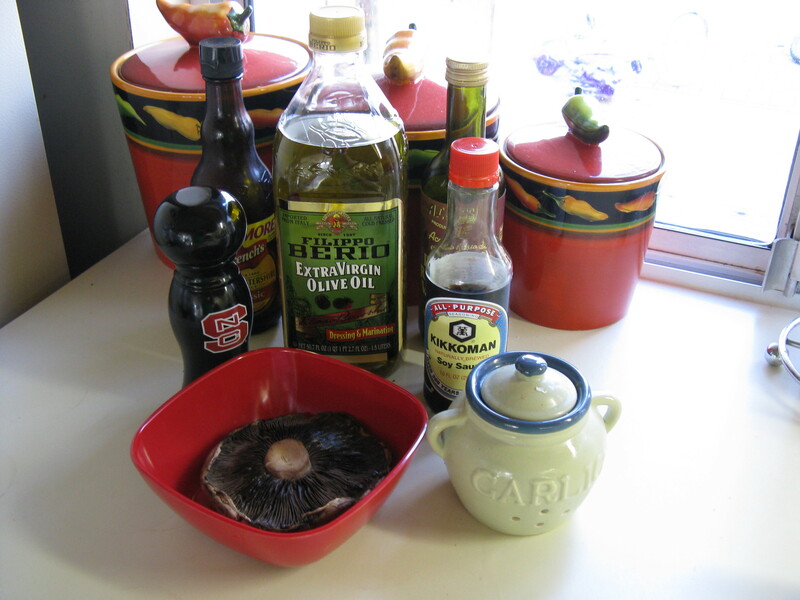 This entry was posted in Recipes and tagged Annie's Shiitake Sesame Dressing, Kelley Chisholm blog, mushroom sandwiches, Portabella mushroom, portabella recipes, portobella mushroom, portobello mushroom, Raleigh food blog, Recipes. Bookmark the permalink. This is one I’m definitely going to have to try. Looks gooood! Thanks for posting. Your’s looks so much healthier than mine with all that salad!